Herbal infusions have been used for thousands of years. Many of us create them regularly when we brew tea (which is simply an infusion of tea leaves). However, while there's a lot to love about this classic teatime preparation, it's just one of the countless options you can experiment with when crafting your own sippable herbal preparations. Not sure where to start? When deciding whether to prepare an herbal infusion or a decoction, consider what nutritional goals you hope to achieve. Are you looking to support a healthy body and mind? Or maybe you just want a deliciously nourishing beverage that is different from your everyday drink! The answer will determine not just what herbs you use, but also the method you use to make the most of them. 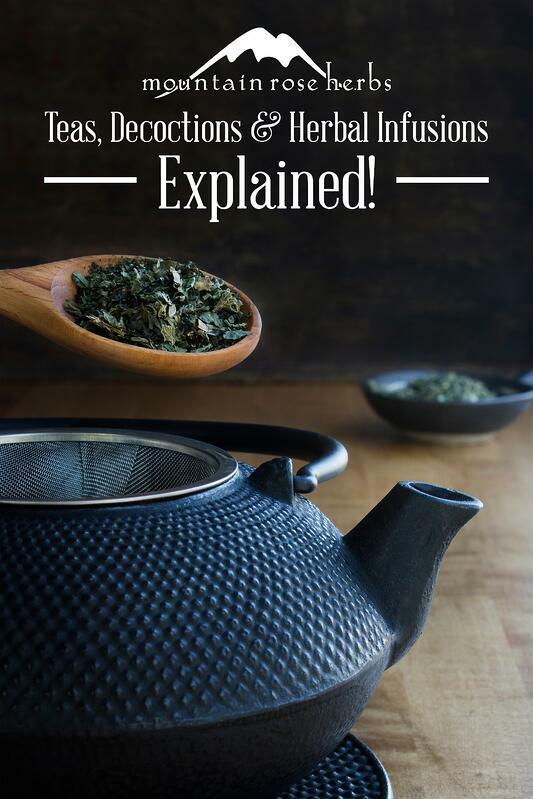 Here are the three main preparations for creating the water-based herbal extracts known as infusions and decoctions (and some tips on when to use each). Hot infusions draw out vitamins, enzymes, and aromatic volatile oils. 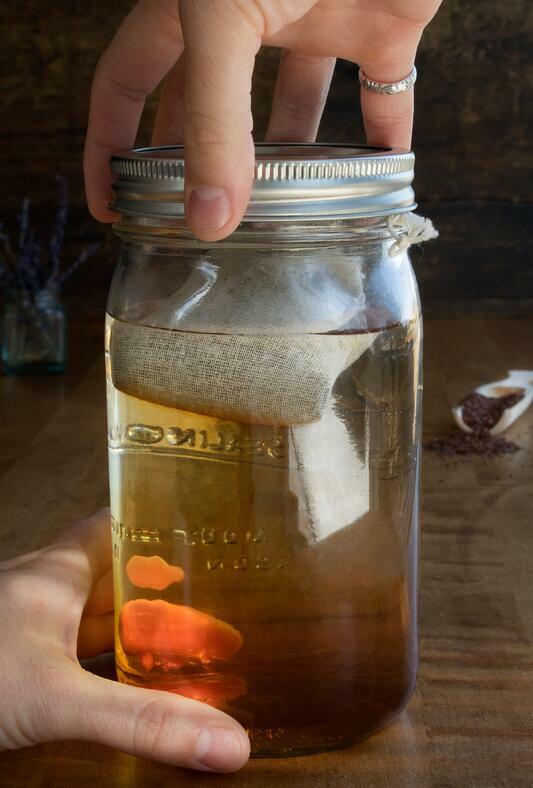 Flowers, leaves, and aromatic roots are all ideal ingredients for hot infusions. Some examples include ginger root, nettle leaf, holy basil, red clover, horsetail, and raspberry leaf, just to list a few! Nutrient-rich herbs add an extra dimension to your daily regimen and work synergistically to support overall health. There is an abundance of options when creating combinations for hot infusions, offering an excellent opportunity to tap into your creative side. Steep time will depend on your personal flavor preferences and the specific herbs used. The longer certain herbs are steeped, the stronger their flavors. Different nutritional benefits are also gained from different steep times for specific herbs, as longer steeping times tend to draw out more minerals. 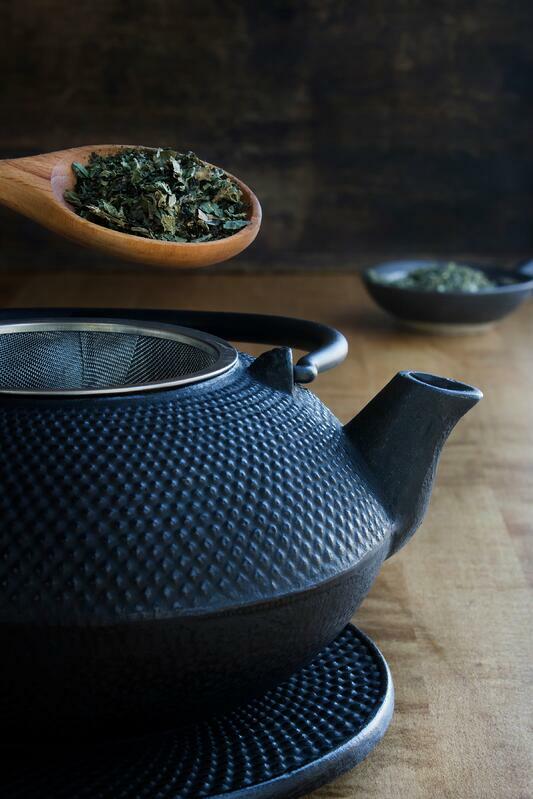 Generally, you'll want to steep herbs for longer than you would black, green, or white tea leaves. Scoop 1 to 3 tablespoons of dried herbs into a tea strainer placed in your teapot or mug. Heat water until it just comes to a boil. Pour hot water over herbs to submerge them and cover to help hold in any volatile oils. Steep for 15 minutes to 1 hour and strain. Cold infusions are ideal for enjoying the benefits of mucilaginous herbs and herbs with delicate essential oils. A few good herbs for cold infusions include marshmallow root, peppermint leaf, rose buds, or freshly harvested herbs such as lemon balm or St. John’s Wort. Since there is no boiling involved in this preparation, bacteria growth can happen more quickly than with hot infusions. Be sure to use clean tools, refrigerate your infusion if you're not going to drink it right away, and consume or dispose of it within a week (or sooner if you notice an off taste, smell, or change in appearance). Fill a quart jar with cold water. Bundle 1 ounce of herb in cheesecloth or muslin bag. Submerge the bundle just below the water in the jar. Drape the tied end of the bundle over the lip of the jar. Secure by loosely screwing on the cap. Place loose herbs in a quart jar, fill with cold water, and cap. Strain herbs out with a sprouting screen and lid or funnel with filter. Decoctions are simmered teas that are perfect for extracting the properities of hard roots, dried berries, barks, and seeds. They are much stronger in flavor than herbal infusions and also more concentrated. Place 3 tablespoons of dried herbs into a small sauce pan. Cover the herbs with a quart of cold water. Slowly heat the water to a simmer and cover. Allow to gently simmer for 20 to 45 minutes. Strain into a quart jar, but do not discard the herbs. Some water will have evaporated, so your strained liquid will not fill the jar. Pour additional hot (but not boiling) water over the herbs in the strainer until your jar is full. Once your decoction is finished simmering, you can infuse more delicate leafy herbs or flowers into the hot water that cannot stand up to the lengthy simmer time, straining the mixture again after another 10 to 15 minutes. In case you're interested in making a larger quantity at once, know that most herbal infusions and decoctions will last up to a week in the refrigerator. Add a bit of raw local honey, fruit juice, licorice root powder, or stevia leaf powder to sweeten your infusion. Freeze in ice cube trays or popsicle molds. Kids love these herbal ice pops! 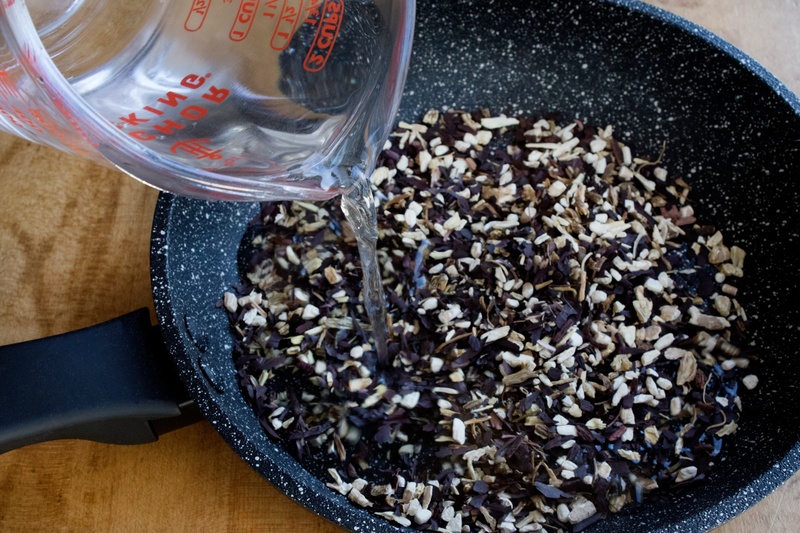 Use your infusion to make an herbal syrup. Mix with juice or lemonade. Want to learn other tips for making the perfect cup of tea? Kendle is a Product Coordinator with Mountain Rose Herbs. Born in Portland, Oregon, she has called many different places home across the country. After earning her Associates degree in North Carolina, she moved to Colorado where she spent six years working in the herbal supplement and body care industry before coming back to Oregon. 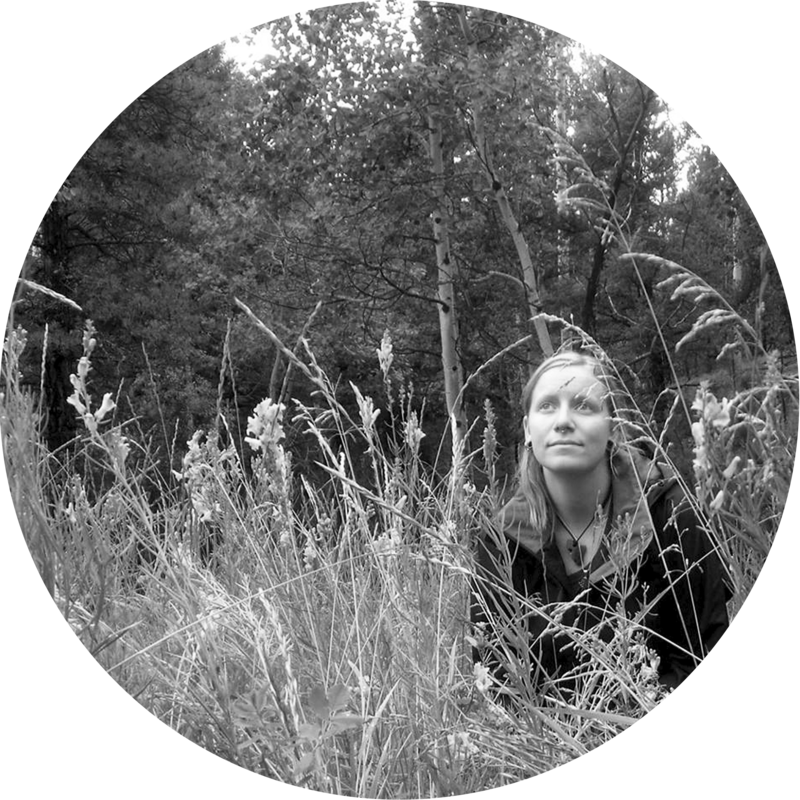 Currently she is engaged in extensive independent study and experimentation in the areas of folk herbalism, homebrewing, and painting. She believes that one of the most important methods for understanding herbs is to experience them, and to truly take the time to listen to your body to find what works best for the individual. She and her partner spend their time exploring the wilderness, hunting mushrooms, concocting herbal remedies, and reading voraciously.